River View is located close to the beautiful Niagara Parkway and Niagara River in historic Chippawa. Our most famous graduate, James Cameron, is a world renowned movie director. The school celebrated its 50th Anniversary in 2009. 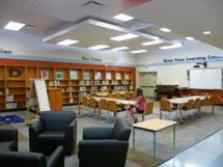 Beginning in June 2011, River View underwent renovations during which a new gymnasium and administrative area were added. The former gymnasium now acts as our beautiful Learning Commons (library and computer lab), a wonderful space for students to explore digital and print resources in modern surroundings. 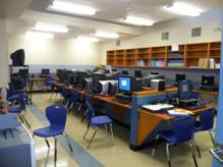 With the renovation came a focus on increasing student access to technology. Our students have access to SMARTboards, tablets and netbooks to support their learning. Our community is an integral part of life at River View. Volunteers assist in many ways that benefit our students, such as Breakfast Club, the Red Hawk Reading Program, fundraising, School Council and School Nutrition Advisory Committee. We are grateful for our volunteers' time and efforts! The River View staff, students, parents and community work closely to Achieve Success Together!